We celebrate the home country of cinema on October 1st. Join us for French Day! Presented in collaboration with Institut Francais and The French Embassy. The French actor Jean Dujardin, who deservedly won an Oscar for 'The Artist', has an old-school charisma and charm that is not always appropriate for today's films. But the wonderfully insane directing duo Delépine and Kervern here give him his best role since the Oscar. The tragicomic Jacques is the star of his own world, a man full of amazing ideas, which are just really bad. He is constantly on the move, away from the most recent disaster, and therefore ends up with his sister, who runs a shelter for homeless people. Here, he has his best idea to date. He wants to make all the poor people happy by offering them cheap plastic surgery. In spite of its absurd features, the film is full of love for its wry characters, and even Jacques has a heart - somewhere. The super-duo of French cinema, Agnes Jaoui and Jean-Pierre Bacri, is back. She directs and he helps write, while their interaction sparkles electrically in front of the camera - like in their popular works 'The Taste of Others' and 'Look at Me'. With their usual precision they skewer their contemporaries, hypocrisy and mediocrity, and in 'Place Publique' above all the self-obsessed world of media. 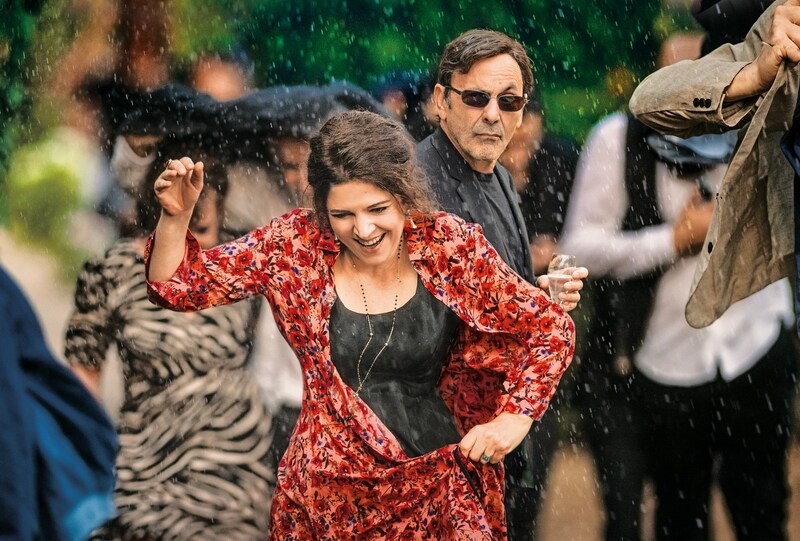 Bacri plays Castro, an ageing TV star, and Jaoui his ex-wife Hélène, who meet at a huge housewarming party in idyllic surroundings outside Paris. Their joint daughter and his producer, who does not dare tell him that he hasn't had his contract renewed, also join in to fill the evening with surprises. The fake veneer is thick and sprinkled with champagne, but during the evening even the thickest skins buckle. A party that they (and we) will long remember. French Day is presented in collaboration with Institut Francais and The French Embassy.